Maine Mendoza is currently ~*living the life*~ in California. For starters, she watched the goddess Adele (OMG) live and tweeted some of her concert keepsakes for all of us to ogle over. 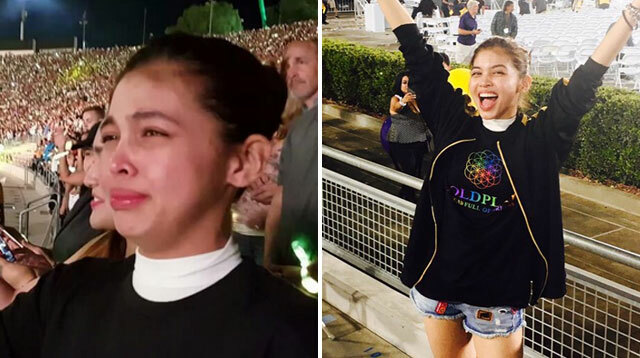 She was, however, overwhelmed with so much ~*feels*~ when the British band played what we assume is her fave song, “Yellow.” Here, her friend and celeb hairstylist Celeste Tuviera caught this rare moment of Maine being a fangirl. Love this.